Breaking our American addiction to fossil fuel. Growing CAREnergy's newly patented ENERGY TUBER can lead the way for America to phase-in a clean renewable, home-grown fuel to replace gasoline in today's and tomorrow's vehicles. Keeping in our economy the $350 billion a year the US spends on foreign oil. Our company believes these billions could better be spent creating many new permanent American jobs growing the ENERGY TUBER and processing the FUEL, FOOD, and FEED. This would result in a more stable economy using our land and resources wisely. Innovators and Investors. The Paris Summit on Climate Change was attended by representatives looking for innovative solutions. This included members of the Breakthrough Energy Coalition (over 2 dozen billionaires) that have expressed an interest in investing in innovative businesses that can reduce CO2 levels and even reverse climate change. ​ The commercialization of CAREnergy's ENERGY TUBER in many countries to replace petroleum based transportation fuel could significantly contribute to meeting this goal. World-wide impact as the 7th largest world-crop CAREnergy's high yielding variety will allow farmers in Asia, Africa, S. America, and Caribbean to increase yields up to 8 times over current, low yielding sweetpotato varieties. This will result in surplus yield so that the farmers will be able to use the best sweet potatoes for food, the rest processed into FUEL (ethanol), FOOD (high value protein) and FEED (highly nutritious vines and stillage for animal feed). Our ENERGY TUBER will allow these farmers to not only feed their families but raise additional cash through this industrial processing crop. Dr. Janice Ryan-Bohac, President, Chief Scientist and International Plant Breeder of CAREnergy, LLC, travels to California. 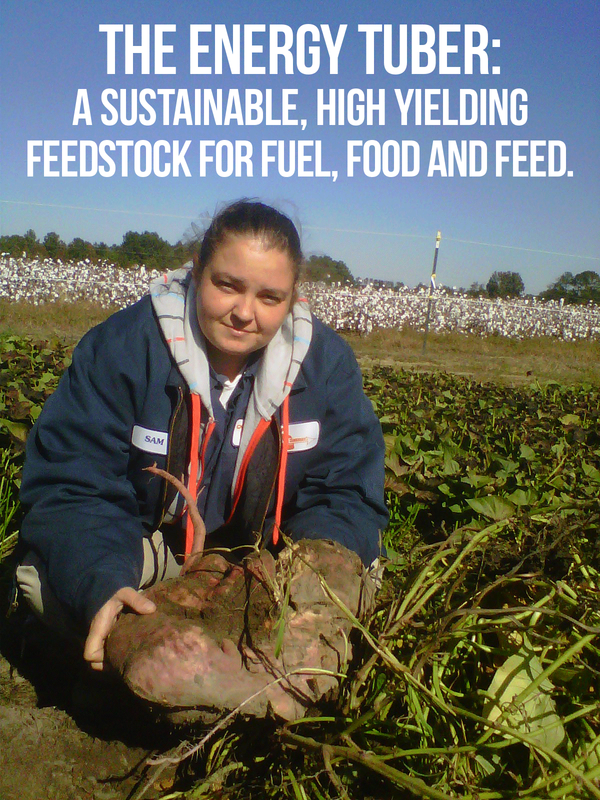 CAREnergy’s field trials there of her advanced sweetpotato varieties have included the patented Energy Tuber. This has the Silva Farms putting CAREnergy select sweetpotatoes into major commercial production in 2018. Quote from Dr. Ryan-Bohac, "These are significant CAREnergy sweetpotato fields in California of about 100 acres. They give the viewer an idea of the scale by how small the people are seen weeding in the background. The handling and processing of California CAREnergy sweetpotatoes far surpasses even my expectation for efficient and effective water management. Harvesting is much more efficient and effective in this California work as well. Obviously with our anticipated CAREnergy biofuel crop we will be looking at these attributes for large-scale production success."